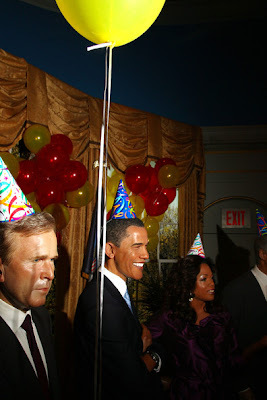 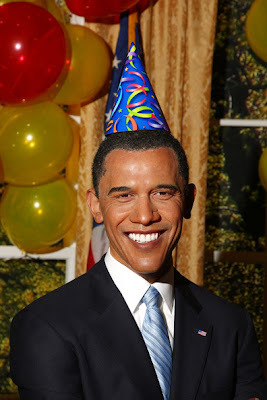 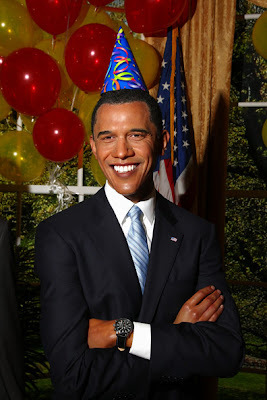 Madame Tussauds celebrated Barack Obama's 48th birthday yesterday with a wax party among friends. 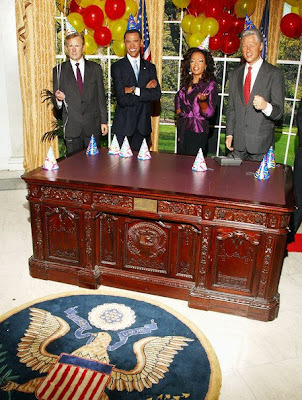 Those in attendance (in wax) were Bill Clinton, Oprah, Colin Powell, and George W. Bush. 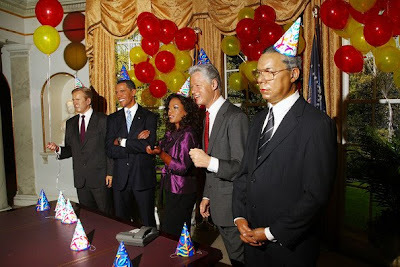 It's amazing how much Bill and Obama's wax figures look like them. 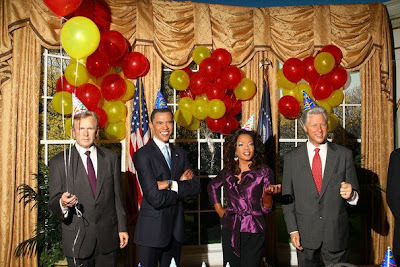 Oprah's...not so much. 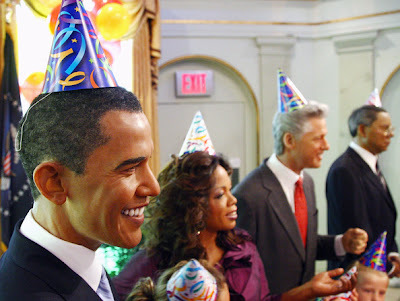 You can see visitors of the museum also wearing birthday hats in celebration of our President's 48th birthday.